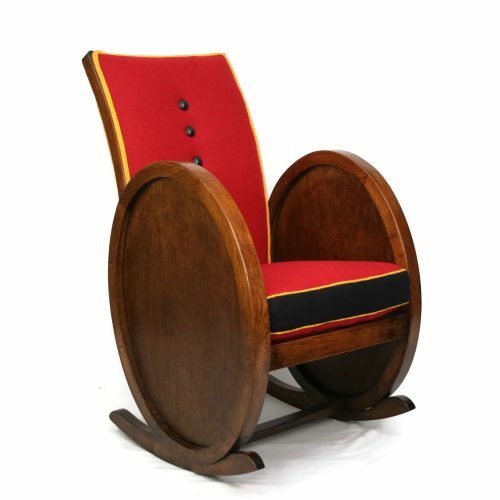 Unusual early 20th Century chair with strong Art Deco influence. 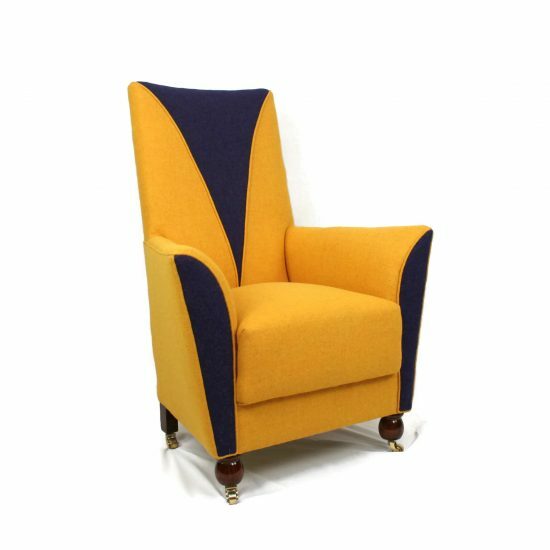 It has a surprise feature – a hidden internal sprung rocking mechanism enabling you to recline to the point of optimum pleasure. 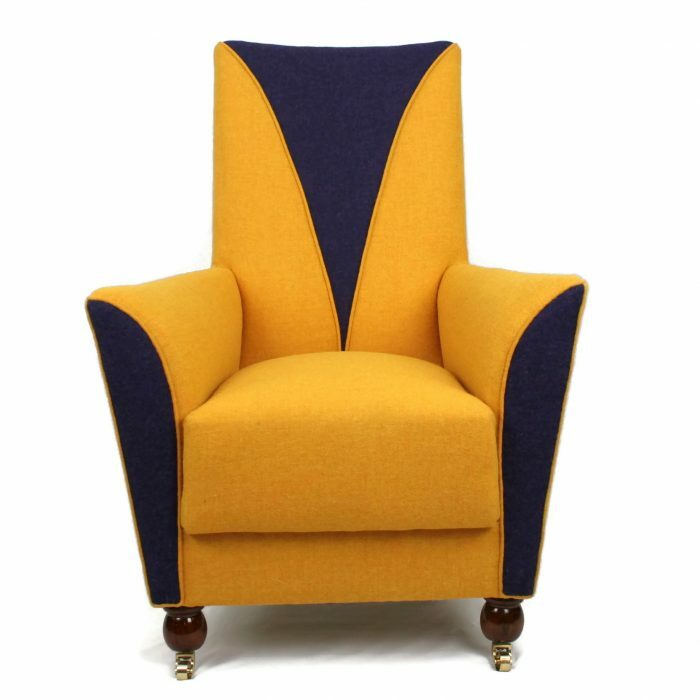 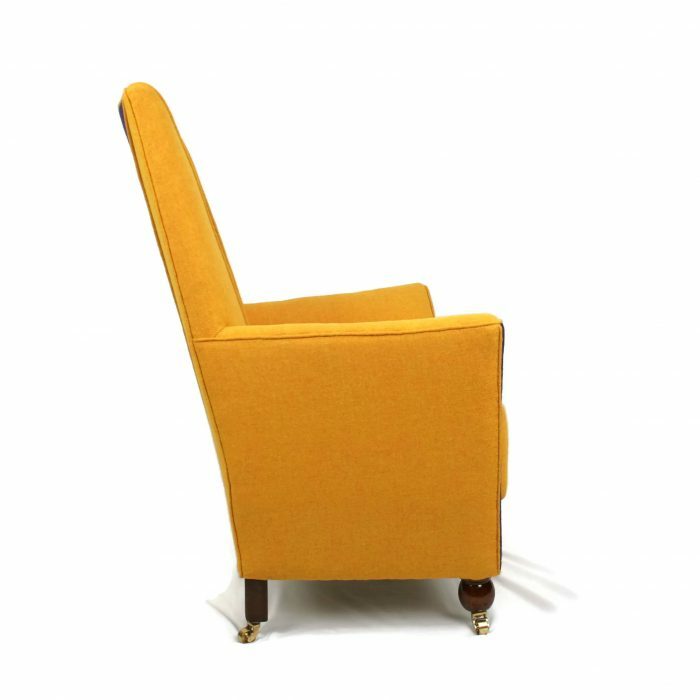 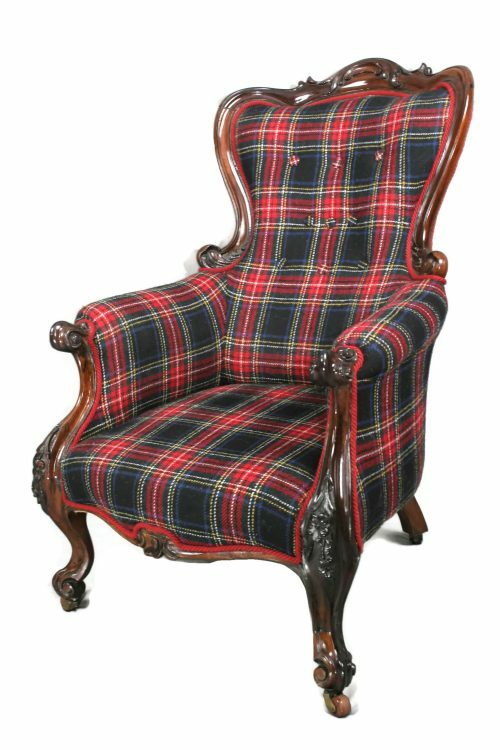 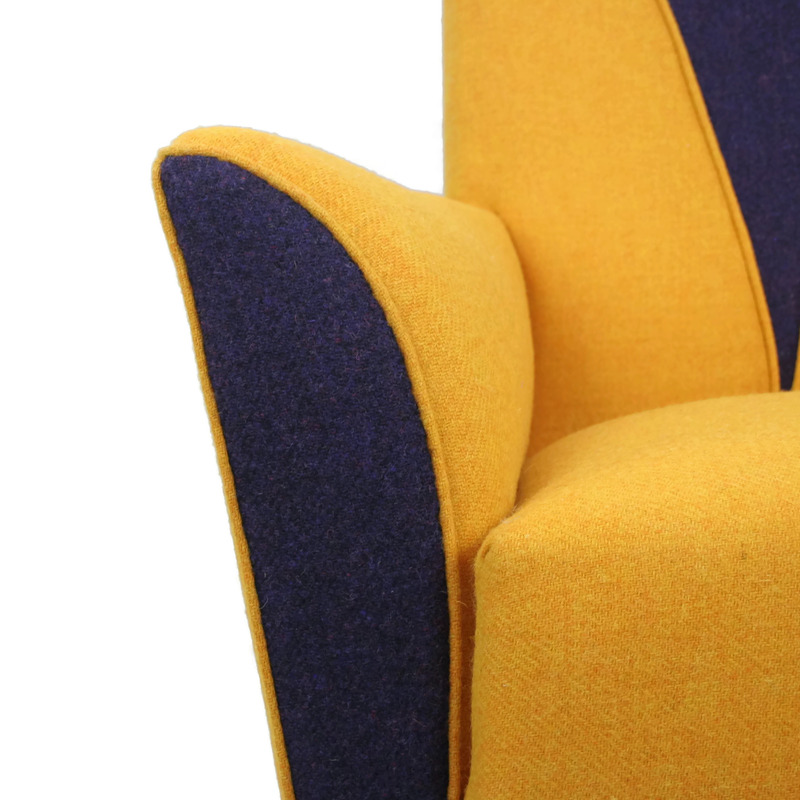 This small but extremely comfortable piece is covered in luxurious yellow and purple Harris Tweed. 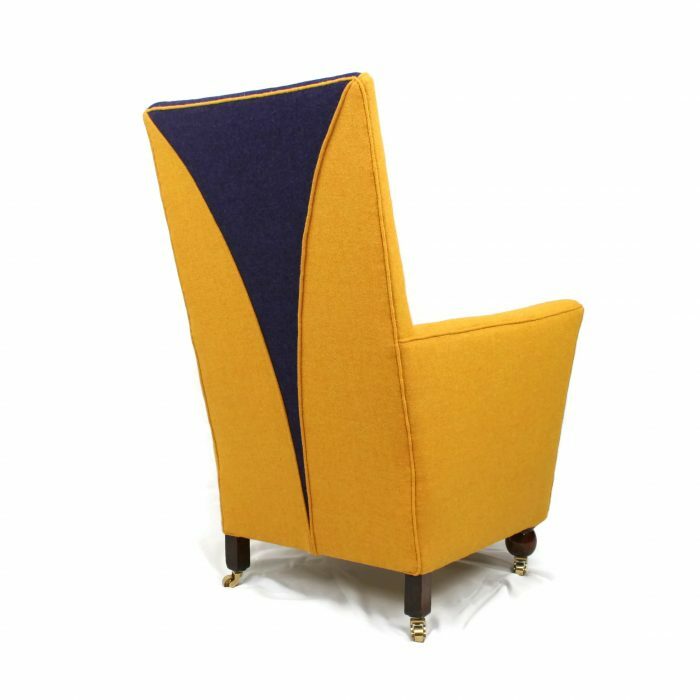 Our geometric upholstery design chimes beautifully with the feel of Art Deco period.. Set on teak bun legs with new brass casters. 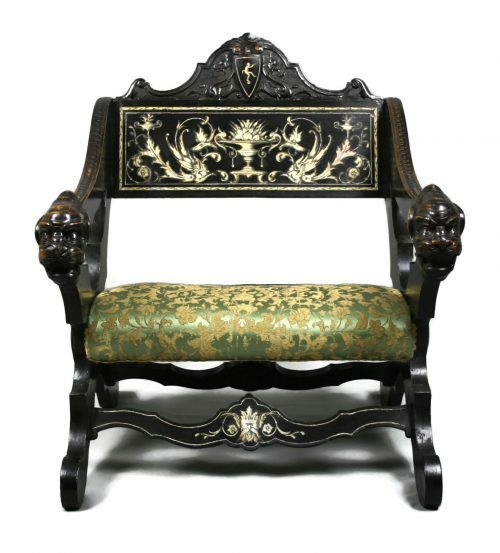 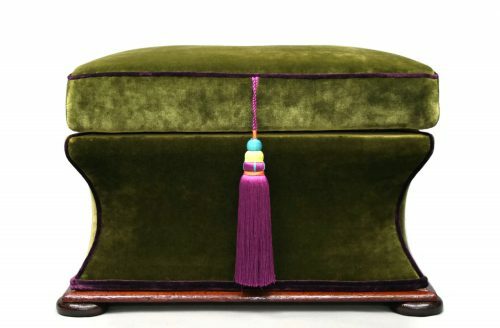 This piece has been fully rebuilt, re-polished and re-upholstered using traditional techniques and materials.